A fascist defies the rule of law. Don't know if he is the first, but the word fits him like a glove. Good summary of current events The author only failed to include Trump's alliance with fundamentalist Christians in order to complete the Picture of a classic fascist dictator. The Axis powers had the technology, but not the size. The USSR had the size, but not the technology. I think we need to forget about labels and concentrate on issues! Re: It's The Other Way Around - Central American Immigrants Aren't Invading Us. We Invaded Them. All that and what about Mexico? How many Mexicans have had to come to the US to make a living because NAFTA ruined their own chances to make a living back home? Yes!!! It's called exploitation by forceful submission. Somoza, United Fruit, CIA, FBI, etc. The US introduced slavery into territories where it had already been abolished. Only thing missing from the article was the extent of opposition in the US to the annexation of Texas and the subsequent war on Mexico (for example, Thoreau's war tax resistance). It was the First Slave Owners' Rebellion. It was followed by the Second Slave Owners' Rebellion aka the Confederacy secession in 1860 that kicked off the US Civil War and ended legal slavery in the US. In this piece, Felix Baizabal painted a photograph that was taken of himself when he was younger. 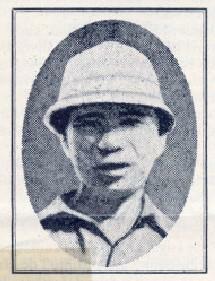 Baizabal and his siblings grew up in a rural part of Morelos Mexico. 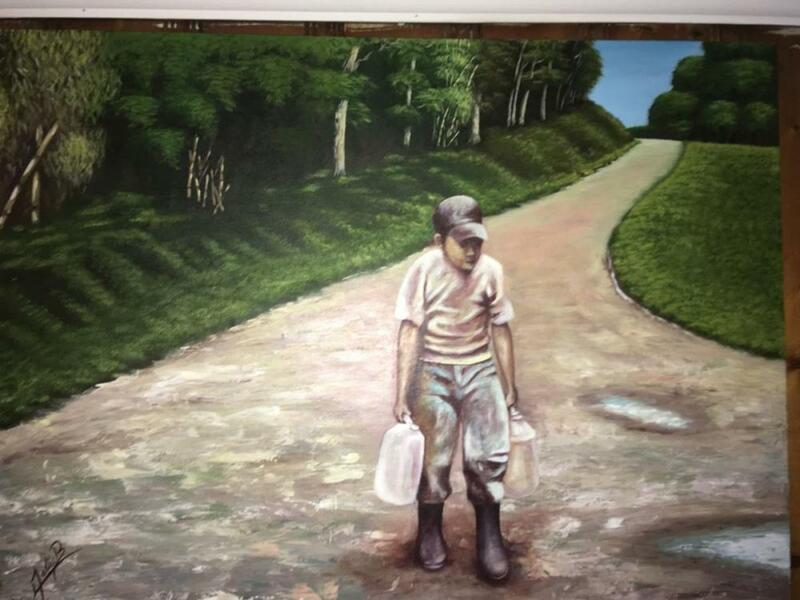 Columbia Museum of Art hosts multi-media art exhibit based on oral histories that spotlight the experiences of Spanish-speaking immigrant workers in South Carolina. Days before the exhibit opening last month, contributing artist Felix Maceda Baizabal was detained by ICE. He spent the July 4 holiday in transit from a federal detention center in Georgia to his birth home in Morelos, Mexico. Or, rich women would go to Canada for their abortions and poor women to the back alley. Something is up with this resignation and it needs to be investigated PRIOR to seating a new justice! Re: Why Is Nancy Pelosi So Afraid of Socialism? Pelosi is a great friend of corporations. Her power comes from the money she raises from them. Re: What Finally Did In Scott Pruitt? Obviously the man is a crook. It was insulting to the EPA when Trump appointed him. At a time when environmental protection is so crucial to our future it was a shocking appointment to have a climate denier at the head of EPA. That he is totally self interested is no surprise. So are the companies he obliged.It really is the decline of the American empire. Next up is Trump's blow to American democracy. Why is he meeting Putin? To find out how he got 95 % of the vote in Russia? As usual GREED. The same thing that will bring down trump if his supporters really start to look and remember what makes us great is being different. THEY SAID TO THE GENTLE POET "PLAY YOUR GUITAR NOW IF YOU CAN"
"We were astonished, appalled and also saddened," said Patti Rundall, the policy director of the British advocacy group Baby Milk Action, who has attended meetings of the assembly, the decision-making body of the World Health Organization, since the late 1980s. "What happened was tantamount to blackmail, with the U.S. holding the world hostage and trying to overturn nearly 40 years of consensus on the best way to protect infant and young child health," she said. It’s shameful and racist that the USA opposed this resolution. The USA under Trump has become a very deplorable influence in the world. 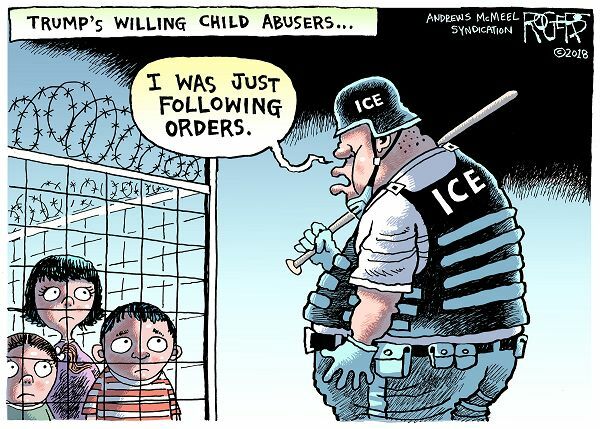 Of course they don’t care for children south of the border or other _ hole nation. Because in the USA more mothers and pediatricians are using and recommending breast milk for their babies. Of course the Trump administration didn’t opposed the Russians maybe because they are their masters. I imagine Trump must be beholding to formula companies. USA benefits only the infant formula industry vultures... not infants. Que asco. How do you write an article about a labor protest and not even mention the word UNION? Even as the "great-again America" destroys the lives of children who have fled horrors to seek safety in this country, it also destroys the schools the rest of our children should have been able to count on as places of safety, learning, support, community. Cutting us all down at our most precious roots, at our foundation, where our children are. "When champions of market-based reform in the United States look at public education, they see two separate activities - government funding education and government running schools. The first is okay with them; the second is not. Reformers want to replace their bˆte noire - what they call the "monopoly of government-run schools" - with freedom of choice in a competitive market dominated by privately run schools that get government subsidies." 50 years ago, the late Father Al Ede and I were organizers along with the Dubuque NWRO - and we were the Co-Grand Marshalls - of Dubuque's Poor People's March. DUBUQUE, IA. - Singing "We Shall Overcome," some 250 persons marched through the business district here Saturday morning to demonstrate their concern about Dubuque's social problems. The march was held to support the National Poor People s March on Washington, D.C., and to show that the "problems of disadvantaged people in Dubuque are shared by people throughout the United States," organizers said. Marchers drew curious stares from motorists and shoppers as traffic stopped to permit the demonstrators to march five blocks down Main street to Washington Park and a rally. Many carried umbrellas as rain began to fall. Students, clergymen, nuns and disadvantaged persons from the "flats" area near the Mississippi River walked together. There were children on the backs of parents, and other youngsters walking. The march focused on what demonstrators consider the six main problems in Dubuque: Housing, underemployment, underpaid employment, failure of public welfare, inadequate recreational facilities, and problems of senior citizens. I know someone who suffered from terrible headaches, despite multiple exams and labs doctors weren't able to diagnose her...until one night it was her husband who cooked their supper and he didn't add Ajinomotto ... no headache that night! I love Chinese food, I simply ask them not to use monosodium glutamate and I add regular salt. In case you have not yet been contacted, Riverkeeper is putting out a call because of Army of Engineer proposals to construct barriers to prevent another inundation such as the one cause by Sandy. Problem is that the proposals would threaten life in the Hudson River. I have respect for Riverkeeper and when they put out a call for help, not often, it is serious. I have an update on Deputy District Attorney Michael Selyem: he was officially suspended after over 10,000 of you made calls and emailed their office yesterday demanding action. It’s not enough, after what this violent, sexist, bigot said about Rep. Maxine Waters. But it’s at least a start. For a long time, DAs and their staff were ignored by the progressive movement, even though they wield tremendous power when it comes to issues like racism, discrimination, generational poverty, and mass incarceration. But what we accomplished yesterday, and what we’ve accomplished so far at Real Justice proves that we can have an impact if enough of us come together, pay attention, and fight. If you’d like to help us keep up this important work ousting corrupt prosecutors, you can chip in here. Congratulations on helping us get this monster suspended. Next step, we’re getting him fired for good. As you already know, prosecutors and district attorneys are the gatekeepers of America’s criminal justice system. No single person plays a larger role in the machine of mass incarceration. That’s why when we see a bad actor in this system, we have to call them out. Today — that man is Deputy District Attorney Michael Selyem of San Bernardino, California. He basically runs the huge DA’s office there and prosecutes more people than anyone else in the county. Let me tell you what he recently posted about Rep. Maxine Waters on social media. I apologize in advance for the vulgarity. Yeah. He said that. To be clear, he doesn’t even deny it. He has a long history of being deeply bigoted and offensive online. Those are his actual words. And this man is expected to give equal and fair justice to all? To women? To communities of color? That’s impossible. Any man who not only thinks like that, but is bold enough to share it publicly, is a danger to us all. He should’ve been fired immediately! PERIOD. No man who thinks and speaks like this needs to be a prosecutor of justice in this country. So here’s what we’re going to do. 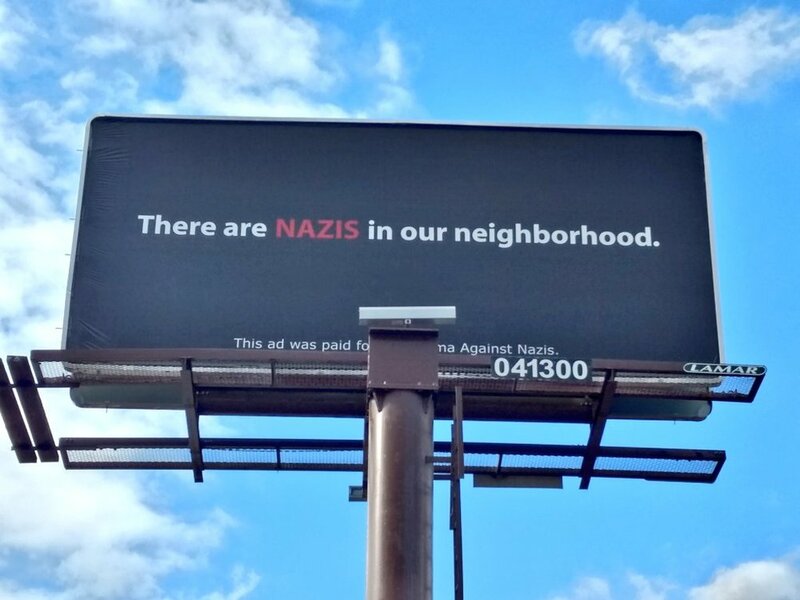 We’re going to let the DA’s office know how we feel. Call them now @: (909) 382–3800 & (909) 382–7755. Ask to speak to a supervisor or HR or a manager. And let them know, in your own words, how you feel about this. Leave a voice mail message if you have to, but try to speak to an actual person. Be courteous, but be clear about how you feel. Email current District Attorney Mike Ramos @ mramos@sbcda.org and let him know how you feel. Email the new incoming District Attorney Jason Anderson by filling out this form. His motto when he ran for office was “public safety, not politics.” Let’s hold him to that. Email Chief Deputy District Attorney Julie Peterson @ jpeterson@sbcda.org and let her know how you feel. Let’s start there and give this a few days. If any employee of a mainstream corporation said this, they’d already be fired. Public employees, particularly ones who hold life and death in their hands with the justice system, should be held to an even higher standard. Black Panther leader Fred Hampton - assassinated by Chicago police in 1969 - explains how the ruling class uses racism to exploit working people. Join us for the next installment in our LaborTalks series on Thursday, July 19 at 6:30PM! Historian Lane Windham, author of the award-winning Knocking on Labor’s Door: Union Organizing in the 1970s and the Roots of a New Economic Divide will join BISR Research Associate Jeffrey Escoffier for a wide-ranging discussion of neoliberalism’s rise in the 1970s, the challenge to labor, and the state of the movement for popular political and economic power. Lane Windham is Associate Director of Georgetown University’s Kalmanovitz Initiative for Labor and the Working Poor and co-director of WILL Empower (Women Innovating Labor Leadership). Jeffrey Escoffier writes on the history of sexuality, LGBT history and public health. He is also the author a short biography of John Maynard Keynes and editor of a book on the work of choreographer Mark Morris. The event is free and open to the public. Please RSVP below. #LaborTalks is co-presented by The Workmen’s Circle, The Sidney Hillman Foundation, Union Communication Services, Dissent Magazine, the Jewish Labor Committee, the DSA Jewish Solidarity Caucus, and The Brooklyn Institute for Social Research. A reception will follow the talk. 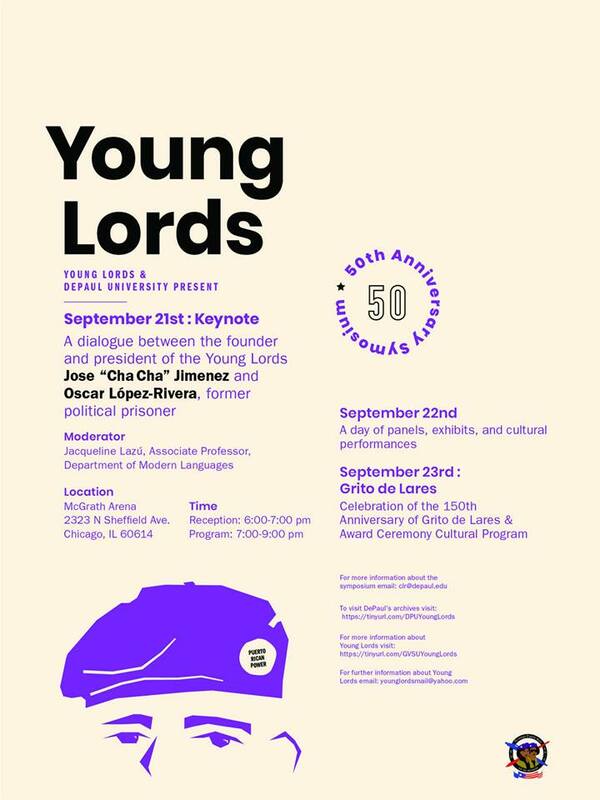 On Saturday, DePaul University will host a day-long symposium of panel discussions, cultural programs, and tours designed to explore the history and lasting legacy of the Young Lords in the city of Chicago and beyond. Panels will explore issues of housing policies and practices, youth activism, arts and culture, police violence, among other themes. The weekend will also help unveil a number of exhibitions, including a feature of the Young Lords papers and archival materials housed at DePaul University’s John T. Richardson Library Special Collections Department. Registration includes a boxed lunch and hors d'oeuvres reception following the days' events.